Over the last 115 years, Harley-Davidson ® has become an iconic name within the motorcycle industry for being reliable and durable. To some owning a Harley-Davidson entitles a person to a great pride like owning a luxury car or a private jet. Ultimately it has been the durability of Harley Davidson that has produced many of the vintage motorcycles still on the road today. There are some good concrete reasons HD owners like their old sleds. These logical and intellectually honest reasons pretty much stand on their own merit. Like any machine, a Harley can be a real treat to own, if it’s the right bike for the right person. Harley-Davidson has fans who can be loyal to the point of looking like cult members because you can make a Harley last as long as you want. The V-Twin engines are very hardy, especially considering their lack of liquid cooling. Up through the Blockhead, the engines almost rebuildable. For example, take a look at former Wisconsin State Sen. Dave Zien’s 1991 FXRT on display at the Sturgis Motorcycle Museum with 1 million miles on it. History has indeed shown if some attention is given to a few key areas a Harley can last a lifetime. HD parts are often simple to find because of the fact Harley spent over a century refining its motorcycles, not tearing up designs and starting something new. People interchanged parts between Blockheads, Shovelheads, and even Panheads. The wide interchangeable applications also mean parts are more available and sometimes cheaper. One of the lame criticisms aimed at Harleys — that they’re outdated — is to those who know the secret an advantage, seen in another light only a vintage Harley owner could understand who proudly proclaim, “If I have to explain, you wouldn’t understand.” For those who know there is the Vintage Sector. 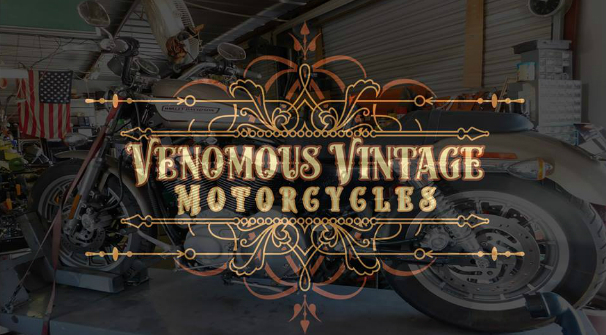 There wouldn't be a Venomous Motorcycles without the Vintage sector who are the legends behind the scenes. These guys have been magically creating, maintaining, and bringing back to life thunder for quiet some time.